At 91 years old and the longest reigning monarch in history, it’s no surprise that Queen Elizabeth is set in her ways. From eating the exact same breakfast to never switching up her nail polish a day in her reign, the queen remains loyal to her routine. 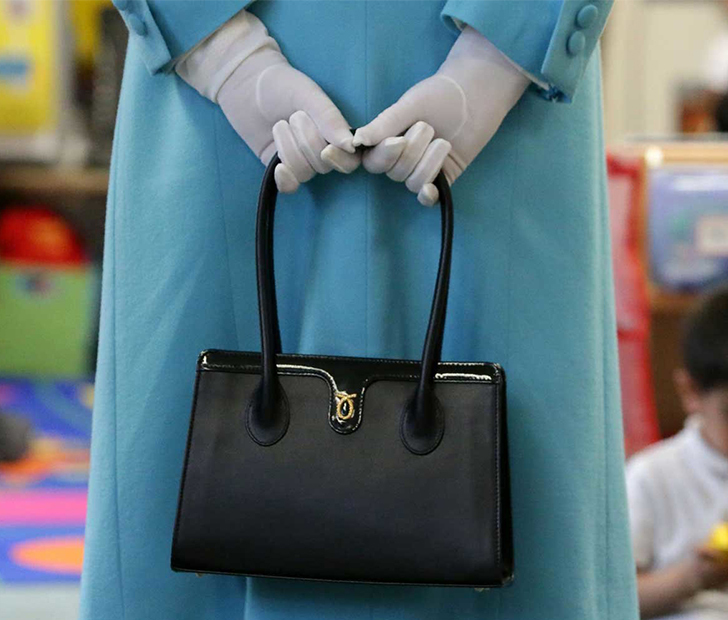 Another one of the queen’s staples is her black patent leather, top handle bag by Launer. It’s alleged that she’s such a fan of the brand, she owns around 200 purses from them! Of course, all of her purses are unique only to her. So what is the significance of her purse? Royal historian Hugo Vickers shared that her handbag also doubles as something of a secret code between the queen and her staff. While we can’t promise that purchasing a purse like the queen’s will give you secret powers too, you will look rather royal carrying it around. So if dropping around $900 on a purse suits your fancy, Launer also makes similar styles to the ones they design for the queen.